Welcome to our new website, Baird Mint Collection. A family run business, our craftsmen have been creating beautiful and intricate wedding rings for the last fifty years at our London refinery. Refining our own precious metals allows us full control to ensure each and every ring is created from the most beautiful, pure metal. A wedding ring is the ultimate physical symbol of your love, worn everyday of married life to be a representation of your vows and eternal love since the ring has no beginning and no end. 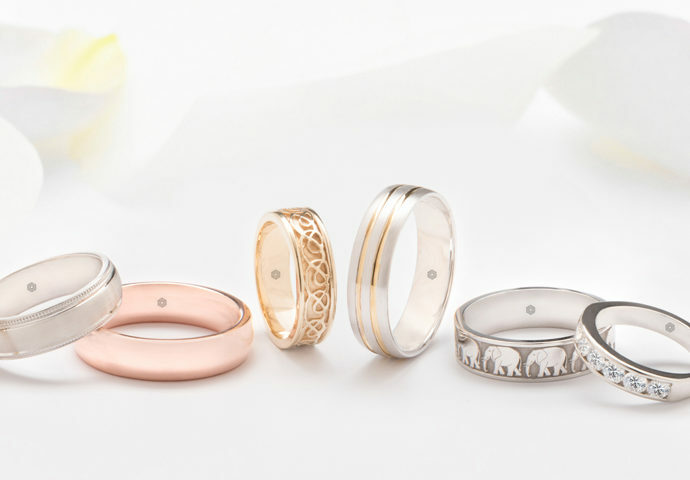 Choosing a wedding ring therefore is an important task in the run up to a couples wedding – should they match? What metal should you choose to ensure it lasts forever? Should you match your wedding ring to your engagement ring? We’ll look at these topics and more over the coming weeks, so make sure you keep checking our blog for more wedding and wedding ring related content! So what makes our rings special? Besides the fact they’ll be hand designed and crafted in our London refinery, our heritage brings you the confidence that your ring will last a lifetime. With a wide range of bands, from celtic to plain bands you can dazzle in diamonds or go for a two toned metal band. Begin your search for your perfect ring by looking through our collection today. If you can’t find what you’re looking for, contact us and we’d be more than happy to have a chat about creating your dream wedding ring. Make sure to have a look at our stockists page to find your nearest Baird Mint Collection jeweller.